Call 724-905-0438 to schedule your first appointment. If you're having trouble hearing the television or you can't focus on conversations involving more than two people, you should talk to your physician about hearing aids. At the Miracle-Ear® hearing aid center in Kittanning, PA, we sell a variety of hearing aids, and we're the most recognized brand of hearing aids in the country. Our branch is independently owned and operated, and our experienced hearing care specialists will be committed to your satisfaction. We can assist you in choosing the right hearing solution. If you live in Kittanning, Cadogan, Edmon, Ford City, or Ford Cliff, come to our hearing aid center to discover and experience the Miracle-Ear® advantage. Our hearing aids come with a 30 day, risk-free trial†. Call today to see how Miracle-Ear can give you a better life through improved hearing. Patrick has 20 years experience with the Miracle-Ear team. Patrick is one of less than 30 Certified Audioprosthologists in Pennsylvania. Patrick is also Nationally Board Certified in Hearing Instrument Sciences and recently held the position of President of the Pennsylvania Hearing Healthcare Association. 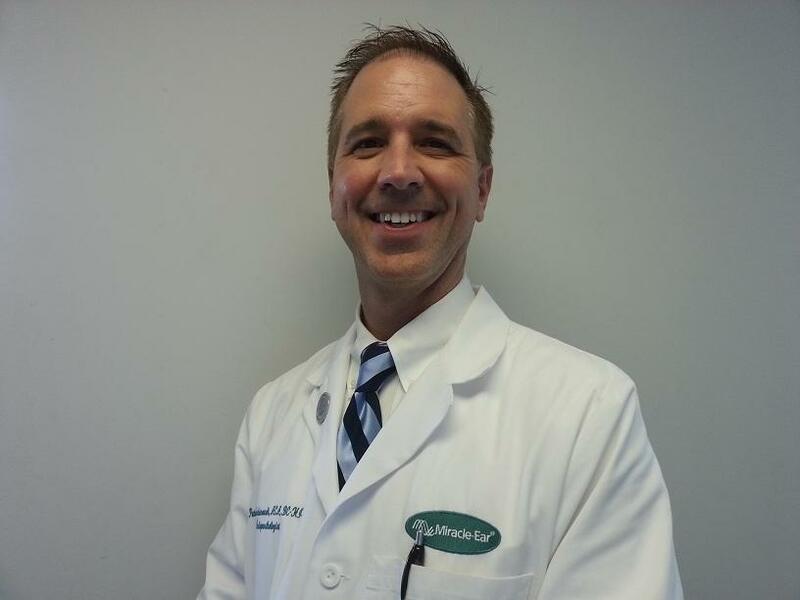 Patrick is one of less than 30 Certified Audioprosthologists in Pennsylvania. He is also Nationally Board Certified in Hearing Instrument Sciences and recently held the position of President of the Pennsylvania Hearing Healthcare Association. Currently, Patrick holds the position of Central East Coast Territory Governor for the International Hearing Society. Patrick's favorite part of working at Miracle Ear is helping people hear better.